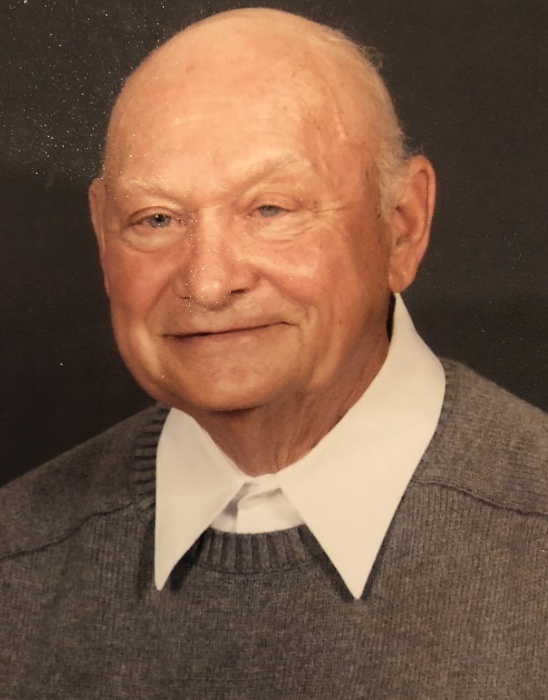 James Paul Ryder, 85, Vincennes passed away Wednesday, January 23, 2019 in Vincennes. James was born April 19, 1933, in Vincennes, the son of Darwin and Cecilia (Whetstine) Ryder. James Married Doloris (Kullman) in 1958. James served honorably in the United States Navy. He retired as a bar tender from the Harmony Society. He was a member of the VFW, American Legion, Knights of Columbus, the Harmony Society and Sacred Heart Catholic Church. James is survived by his Wife, four daughters, Rita (Rick) Pickel of Vincennes, Shirley (Troy) Kimmell of Vincennes, Rebecca (Martin) Evans of Terre Haute, and Sheila (Gregory) Patton of Indian Mound TN. ; brothers, Richard (Joann) Ryder of Vincennes, John (Ev) Ryder of Vincennes; sisters, Rose Marie Bauer of Vincennes, Susanne Kratochvil and Judith Ryder of AZ. ; twelve grandchildren, thirty one great grandchildren and two on the way, four great great grandchildren; along with several nieces and nephews. He was preceded in death by his parents; son Bobby Hager; brothers, Darwin and Robert Ryder; Sister Margaret Ann Kimmons; Grandchildren Staff Sergeant James R. Patton and Russel Lanam. Mass of Christian Burial will be held Saturday, January 26, 2019 at 1:00 PM at Sacred Heart Catholic Church with Rev. Simon Natha officiating. Visitation will be held on Friday, January 25, 2019 from 4:00 PM to 7:00 PM at Fredrick and Son McClure-Utt Funeral Home, 313 Church St. A Rosary service will be held at 7:00 PM following the visitation. Online condolences may be made at www.fredrickandson.com.